Choose from our tasty snacks, appetizers, Jester’s favorites & more! 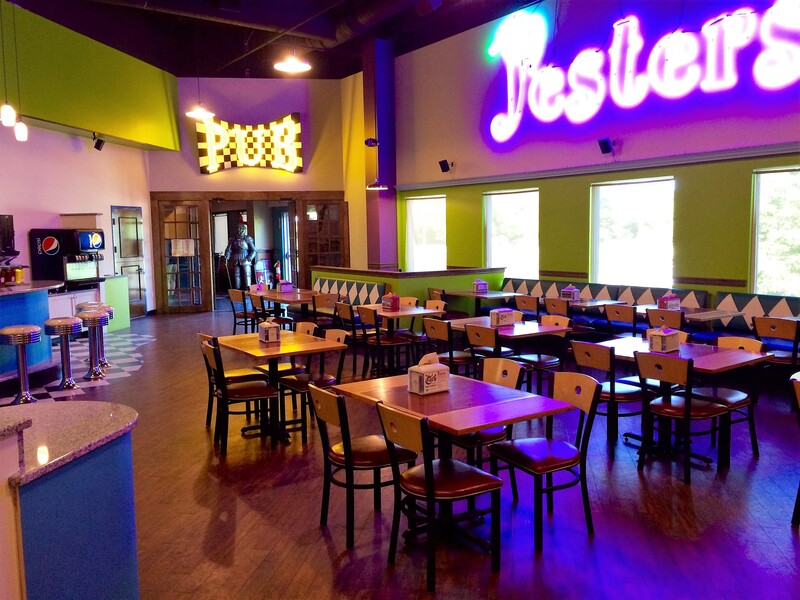 Our menu features Jester’s own delicious favorite foods, including burgers, wings, pizza, salads, sandwiches, appetizers, snacks and so much more. Enjoy table service in Jesters Pub. Need a quick bite to eat? Try out Jesters Café! 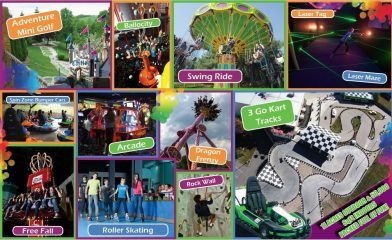 Looking for a fun & casual outing for your company or adult birthday celebration? Check out our All Access Party which gives you a 1 hour table reservation in Jesters followed by 2 Hours of Unlimited Castle Activities! Everything tastes better with handcrafted beer! Full bar available for guests over 21 featuring craft beers on tap! -Tax & Gratuity not included in prices; 18% gratuity will be added to parties of 6 or more. Adults, ask for our Drink Menu! We offer a full bar including craft beers on tap!